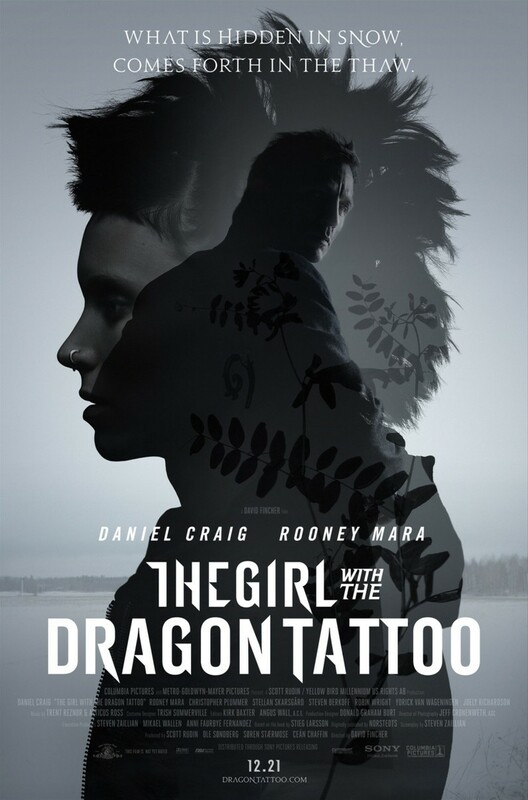 While better than the original, mostly a result of its director, The Girl with the Dragon Tattoo is not without its faults. Originality is a welcome commodity that is increasingly hard to find. There seems to be more remakes and rehashes than ever before in all facets of entertainment. Often these remakes are better at creating buzz than actually creating something of value. However, there are a few instances where a remake can go beyond that title and actually become a valid form of entertainment. That accomplishment requires a few things: first and foremost is a filmmaker who is more interested in created a quality product than a cash cow. That is clearly the case with The Girl with the Dragon Tattoo. David Fincher injects his own style and directing ability to create a film that is better than the source material. In the film, Daniel Craig plays Mikael Blomkvist, a disgraced writer whose career is likely over. His attempt to take down a corporate industrialist backfires as he is accused of reporting incorrect information. To make matters worse, he loses a Libel case and is required to pay damages to the industrialist. Things begin to look up for him when he is offered a job by Henrick Vanger. Vanger wants him to unveil the truth of his niece’s disappearance 40 years ago. Blomkvist is reluctant to take the job, but Vanger’s need to pay his debts makes it impossible for him to refuse. As Blomkvist looks into the case he begins to discover how bizarre the Wagner family is. Family rivalry, Nazi links, and unyielding greed only begin to describe the craziness of this family. Blomkvist continues to dig deeper into the case and stumbles upon a break. Something he feels will lead him to solving this mystery. However, not wanting to make the same mistake he did with the industrialist, he asks the Vanger family to provide a researcher to validate his findings. They end up hiring Lisbeth Salander (Rooney Mara), the same person who did the back check on Blomkvist. Lisbeth is a dynamic character that attempts to rebel against the norm in every conceivable way. Her life has been a difficult one. Due to past digressions she is on probation. She is given a guardian who controls all of her finances. Lisbeth does have some things going for her though, namely a photographic memory. 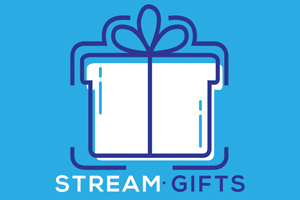 This gift gives her a knack for computer hacking and becomes a vital tool in solving the Vanger case. It was an interesting choice for Fincher to keep the setting in Sweden. I assumed, like the remake of Let the Right One In, he would move the story to America. In the end, I believe his decision was the correct one. There are a number of links to Swedish law and culture that may not have translated well in a new location. I feel you would have had a lot of changes if the story took place outside of Sweden. What Fincher does do differently in his film is establish an importance to the setting. The Vanger home is given an eerie presence that makes you stand on edge. The combination of both Fincher’s camera work and Trent Reznor’s score work masterfully to create tension in almost every frame. Reznor and Fincher have proven to be a great combination and I hope to see more from both of them in the future. Reznor’s score here isn’t as great as his score for The Social Network, but it perfectly fits the theme and tone of the film. Another area where this film improved on the original was in the performances. Daniel Craig’s portrayal was a lot more compelling in this than the original. There is not much depth to the character, but Craig’s own personality allows it to go beyond a fill-in role. Rooney Mara was fantastic as Lisbeth Salander. Her version of the character was more well rounded and complex, with a sense of innocence that really humanized her. Small changes in the story help the humanization surface. You see this tortured soul has a tendency to be abrasive towards others, but she also is capable of showing tenderness to those she slowly lets in. Mara is also capable of depicting the irreverent side of the character as well. It is a character that is ambivalent to the majority of society. She has a limited expression of emotion that is conveyed in her complete coldness. Mara’s transformation into this character is easily one of the best performances of the year. 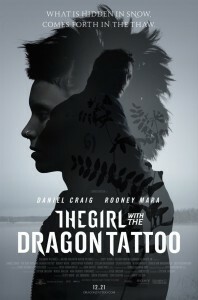 While there are a lot of elements of The Girl with the Dragon Tattoo to admire, there are a number of issues. The biggest is with the story itself. When you break down the story to its core, it’s not much more than an extended CSI or Law and Order plot line. It attempts to dress up that story with a dynamic character, but in the end that just felt like window dressing. You have these two plot lines that diverge into one, and when they meet, the mystery completely overshadows any uniqueness that may have allowed it to stand out more. It’s not that the mystery is uninteresting. The issue is that you feel like you have seen this story before, and that’s not even considering it’s a remake. Fincher does the best he can with the source material, but the fact remains it doesn’t go beyond being a basic thriller. This story is like The Da Vinci Code in that its complex elements are relatively hollow. That hollowness is filled with commonality that makes it easy to digest. Also, like a number of Fincher films, it goes on a little longer than it should. The last 30 minutes felt extremely tacked on and never well defined its purpose. The Girl with the Dragon Tattoo does accomplish a pretty impressive feat. It tackles some challenging and taboo issues, but handles it in a way a general audience can deal with. Fincher does infuse his own unique style to make this stand out over normal run-of-the-mill mystery thrillers. At times it’s very demanding of the viewer. I just wish it was able to do more with those demanding sequences. I feel there is an underlying message that is trying to be stated, but it’s never clearly defined. It wants to be a force for empowerment, but certain decisions it makes lessens that impact. The way it handles the partnership of Lisbeth and Mikael is the perfect example of this. Their actions are clumsily put together to the point of confusion. A relationship that starts off as unique turns into an overly done stereotype. The major flaws of the film can be traced back to the source material, because they are found in both versions of the film. The reason this version is superior is a simple one. It was made by a better film maker. Fincher couldn’t solve all the issues without reworking the story in a major way. He ironed enough away to create a crisper film that is more gripping than the original. While it doesn’t elevate the material to a large degree, the improvement in style and atmosphere make it the version to see. If you haven’t watched either I would definitely advise making this your first choice.